Don’t Scream appears to take place sometime during season 3 of the show, and conforms to the series’ canon. So Jen has her horrible haircut, the self-effacing gay character is there (contributing little more than ambient gayness- I guess in 1998 that was enough). Joey and Dawson have already undergone two rounds of making up and breaking up (before the show’s end, there would be four in total). To quote Dawson, “I ask you, Pacey, can people survive being best friends for years, then being a couple, then not a couple, then friends, then a couple, then not a couple?” The short answer is no. The long answer is watching all six seasons of Dawson’s Creek, which no one should ever do. Except DON’T see The Chocolate War– Dawson says it’s his least favorite movie of all time! 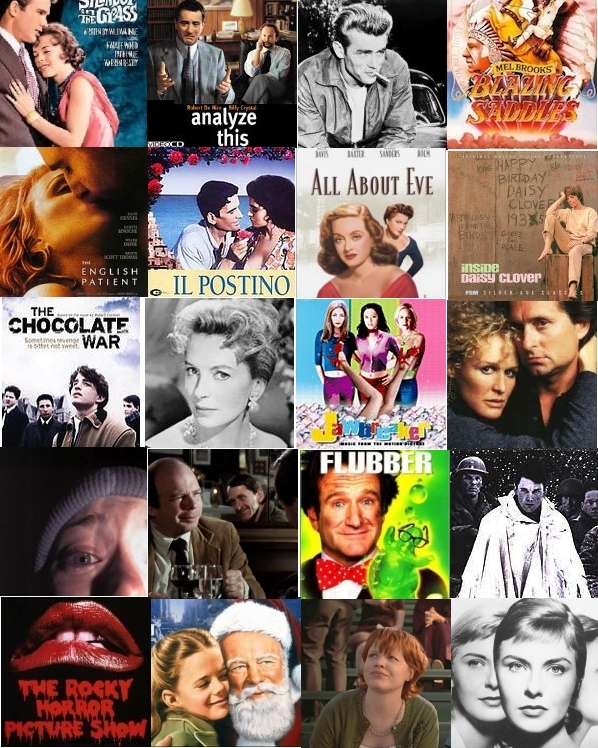 So readers, how many of these movies have you seen? I’ve seen 13 out of 20, which means I am merely %65 the cinephile that Dawson is. How do you score? I win so far – 15 out of twenty, and Chocolate War is NOT one of them – and I didn’t even go to film school, like SOME PEOPLE! Cannot figure the percentage as I was an English major. Not bad, blueparakeet! Which are the ones you haven’t seen?